Craft Brew Alliance, Inc. is engaged in brewing, marketing, and selling craft beers and ciders under the Kona, Widmer Brothers, Redhook, Omission, and Square Mile brand names in the United States. 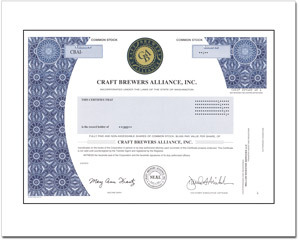 Craft Brew Alliance, Inc. was founded in 1981 and is based in Portland, Oregon. Maker of Widmer Brothers, Red Hook & more.